The AMEX Platinum card recently arrived in the mail. We are a bit past the halfway mark on the first three months. I find myself struggling to reach the $5000 minimum spend to earn the 60,000 Membership Rewards Points bonus. I am going to have to get creative with the manufactured spend, I think. Fortunately, Christmas is around the corner, so I may have a chance to accompany people on their Christmas shopping. 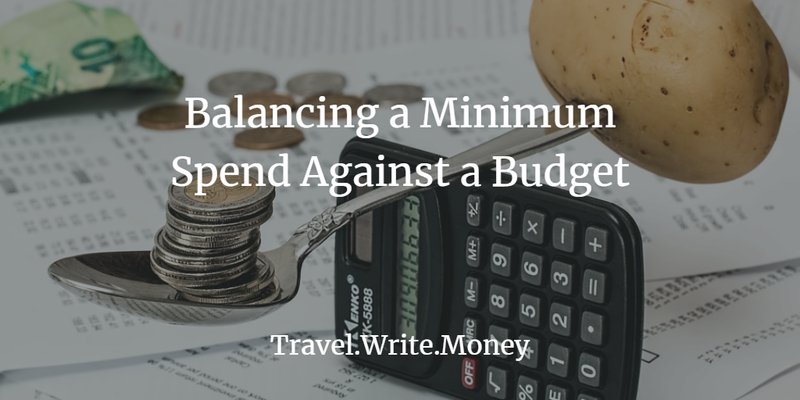 My problem in reaching the spend is that even though all my spending is through my credit cards, it does not amount to very much spending lately as I have tightened the budget to pay down some debts. It would be foolhardy to increase my spending just for the sake of earning a bonus. It would undo the benefit altogether. It would took a week for me to receive my card. I was traveling when I applied for it and had to wait to have a family member bring it to me before using it. That condenses the time needed to spend the $5K. Some of the spending I would have done on the Platinum went on another card. There is also a matter of the annual fee in the first month, which is considerable compared to my overall budget for the month. I'm not complaining. The benefits are worthwhile for me. It's just a big pill to swallow on top of my normal monthly expenses. 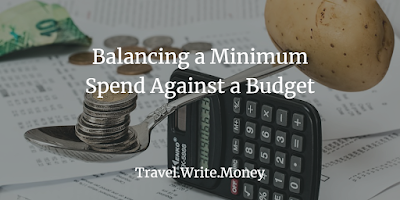 There is enough cash in my monthly budget to handle the annual fee. It's just that, percentage-wise, it's a big lump this month. This makes me think that perhaps it will be a struggle getting the bonus with a business card on a new business. I would have to already have big purchases lined up to turn around in sales before ordering the card. Or, I'd have to have a site that would generate cash with advertising. I'll have to be careful not to order a business card without a spending plan to reach the minimum spend, which is currently $5000 in 3 months. What could I buy for $5000 that I could turn around and sell at a markup or in some way regenerate to pay off the card?